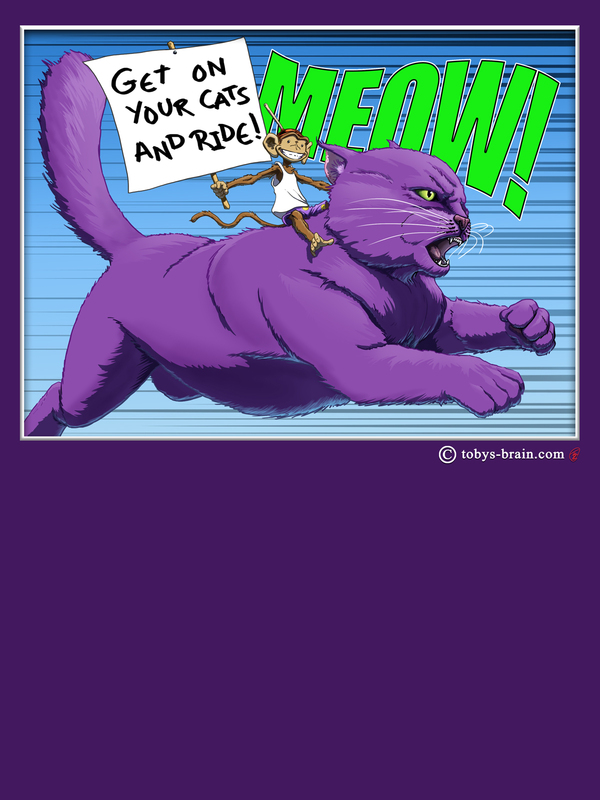 Get On Your Cats and Ride! Hey! Look at that! 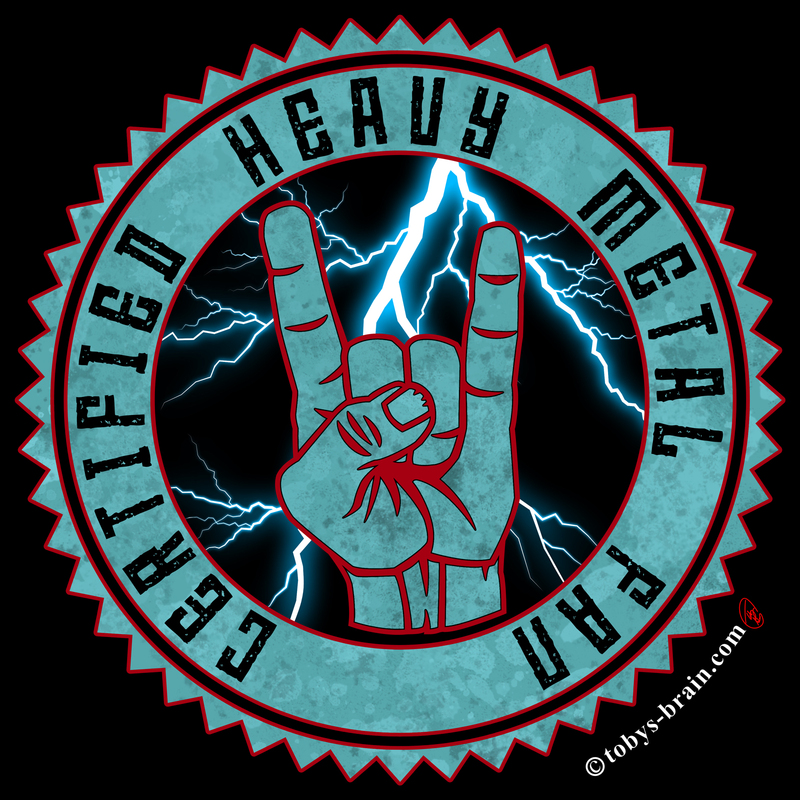 Another new shirt design available at the Plunger Monkey Designs Etsy store! And you can get it in PURPLE! Happy New Year (two and a half weeks ago)! This really ought to be broken up into several different posts, but I know the way my life works and I’m already a solid month behind when some of these updates should have been made to be even remotely timely. So, you’re going to deal with a monster update and like it! Well, true believers, I don’t have it in me to be particularly fun and witty right now. It wouldn’t be terribly appropriate, either. 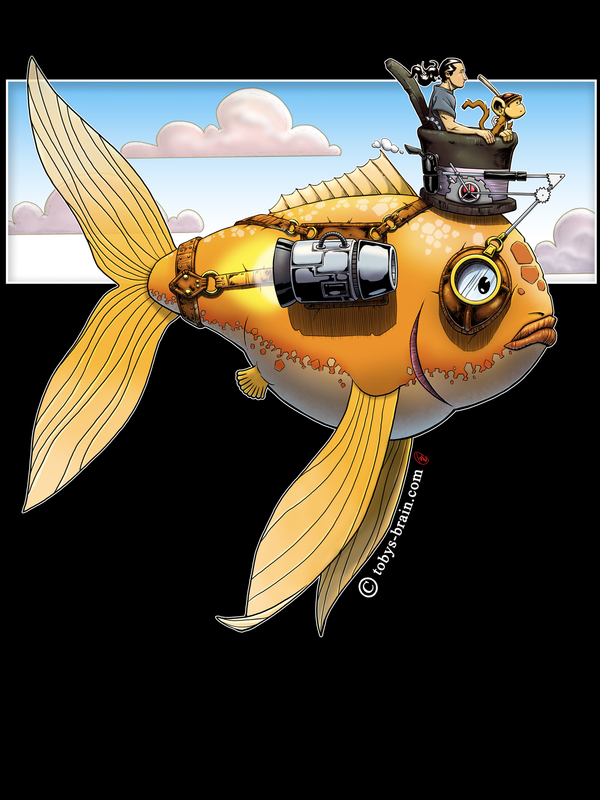 NEW SHIRT ALERT: The Steampunk Fish has arrived! Everyone’s favorite flying steampunk fish! You thought I was going to forget to update the site this week, didn’t you? DIDN’T YOU!? Me too. But I ‘membered. Gallery Update: Happy 2 Days After Mother’s Day 2017! The first month of 2o17 is almost in the books, but it’s not too late to post about xmas, right? I hope not, because I have several posts coming up somewhat related to that. I’ve been trying to finish up the book cover for the fourth Thea: The Little Witch series. I’m currently awaiting approval. Gallery Update: Let There Be Star Wars!